N.B. This page in the archive provides submissions information, but JWMT is not currently active. 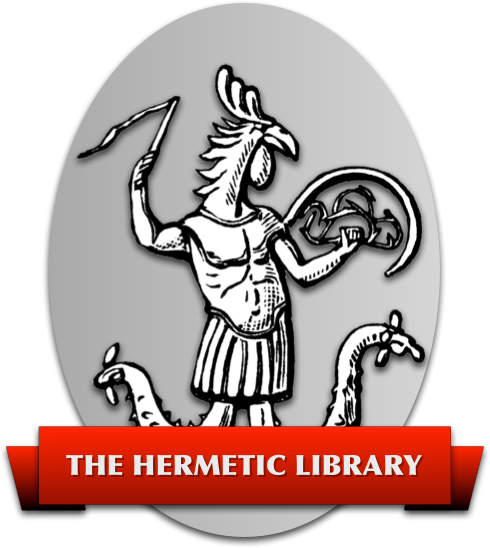 However, if you'd like to submit material related to this subject matter, or soever, check out all the ways you can participate at Hermetic Library. THE JOURNAL OF THE WESTERN MYSTERY TRADITION, published equinoctially, devotes each issue to one particular facet of the W.M.T.. The Content Editor welcomes contributions in the form of Articles which discuss the chosen topic for a given issue. The JOURNAL is purely a Voluntary venture. No-one is getting paid for their trouble, least of all the Editors! Articles should be written in a “scholarly” manner. That is to say, all quotes should be referenced; footnotes should be used where appropriate, and a full Bibliography included at the end. Personal opinion should be properly justified with argument. Subjectively observed material should be treated with the same kind of integrity with which a scientist treats data from his own experiments. The language of the JOURNAL is English; the Writing Style should be such as would receive an “A” from a High School English Language Teacher. To submit an article, first contact the Contents Editor with a detailed proposal for your piece. The Contents Editor will approve of your proposal, so long as he is satisfied that: it fits with the theme of the Issue in which it is intended to be published; it is consistent with the editorial direction of the Journal; and will generally fufill the standards expected. Articles should be a minimum of 5000 words in length: 10000 is long but acceptable; but 15000 words or more is probably overdoing it. The target audience should be those who practice magick: 18+, literate, high school graduates. Familiar with Judaeo/Christian/Muslim deity but not necessarily of any particular religion. Has some kind of belief in “the Divine”. The Editors will only accept files that can be read by Word 97 - preferably .doc files, though WordPerfect 6.0 (and later) files, and .rtf files are acceptable. All documents sent between Contributors and Editors must be ZIPped (e.g using Winzip 7.0). Please carefully observe the Deadlines. First Drafts should be ready and submitted to the Copy Editor by February 1st in the case of the Spring Issue, and August 1st for the Autumn Issue. The final NE PLUS ULTRA Deadline for publication is 1 month before the Equinox in question. Finally, it is intended that THE JOURNAL OF THE WESTERN MYSTERY TRADITION should be as reliable a Journal as Academic Journals are to University staff and students. It has been suggested that the “Golden Dawn Journal” series is a standard by which to compare our journal, though of course we do not limit ourselves to Golden Dawn magic. To conclude, see our main page http://www.jwmt.org - as this contains details on the themes of future editions. Please make all submissions to [redacted] with the subject “Main Content Editor”. If you or someone you know would like to see their work published, email me with your submission,short bio and copyright or credit info. ARTWORK should be in .gif or .jpg format and in RGB mode. Images over 200 kilobytes will not be accepted, images 100 kb or smaller is preferable. POETRY should be of an occult nature/subject. BOOK REVIEWS on esoteric/hermetic books, use footnotes if needed. We want to use your art on our cover! The cover of every issue of the Journal will feature artwork relating to the theme of that season's Journal. If you would like to have your artwork featured on the Journal cover, for both the .html and the .pdf versions of the Journal, then please submit your art to us. All art must be .gif or .jpg format and be in the proportions of an 8.5” x ll” peice of paper. Please make all submissions to [redacted] with the subject of “cover art”. To write to the staff or any of the contributors, please e-mail us at [redacted]. Selected letters will be appear in the JWMT Forum area, which will be in Issue No. 1.